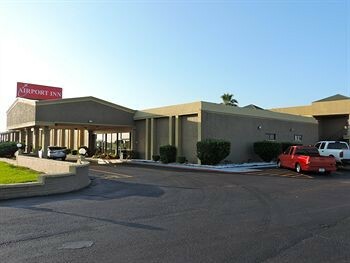 Property Location Located in Nederland, Airport Inn Nederland, Texas is close to Central Mall and Babe Zaharias Golf Course. This motel is within the region of London Bridge Park and Spindletop Gladys City Boomtown Museum.Rooms Make yourself at home in one of the 115 air-conditioned rooms featuring refrigerators and microwaves. Complimentary wireless Internet access keeps you connected, and LCD televisions are provided for your entertainment. Bathrooms with shower/tub combinations are provided. Conveniences include coffee/tea makers and irons/ironing boards, and you can also request cribs/infant beds.Rec, Spa, Premium Amenities Don’t miss out on recreational opportunities including an outdoor pool and a fitness center.Dining Enjoy a satisfying meal at a restaurant serving guests of Airport Inn Nederland, Texas. Quench your thirst with your favorite drink at a bar/lounge.Business, Other Amenities Featured amenities include a business center, a computer station, and dry cleaning/laundry services.